Roach: Cotto will take Canelo to school! By Dan Ambrose: With the Miguel Cotto vs. Saul “Canelo” Alvarez fight announced earlier today for November 21st at the Mandalay Bay Resort & Casino in Las Vegas, Nevada, Cotto’s trainer Freddie Roach has already taken the lead role as the trash talker for this fight. Roach has ego on the line for this fight as does Cotto, because Roach feels that he’s rebuilt the 34-year-old Puerto Rican fighter with his training techniques. Roach believes that he’s turned Cotto’s career around, as does Cotto and a number of boxing fans. The thing is there’s no way of knowing if Cotto has improved or not because his last three opponents were old timers rather than young and relevant fighters in the 160lb division. It’s hard to say if Cotto is the harder puncher or not between him and Canelo. But even if Cotto is the harder puncher, it’s not by a whole lot, and not enough for it to make any real difference in the bout. Cotto’s problems in the past have revolved around his ability to take punishment rather than dishing it out. Cotto can dish it out alright, but when he has to take heavy shots in return, he sometimes falls apart. We saw that in his losses to Manny Pacquiao, Antonio Margarito, Floyd Mayweather Jr. and Austin Trout. Cotto even had problems against guys like Joshua Clottey, Shane Mosley, and a rematch with Margarito. He took shots and was cut in most of those fights. Roach thinks the Cotto-Canelo fight will be the one of the best of all time. I doubt it. We’re talking about a 34-year-old fighter in Cotto. I don’t think he’s going to be able to fight above the level that he did in his early 20s, or even close to that level. You don’t get better as you get older in the welterweight division. If Cotto wins this fight, it’ll be because Canelo is a flawed fighter who has already been exposed a number of times by other fighters. If Cotto loses the fight, then it’ll be because he was older, and fighting a younger and like stronger Canelo. Cotto will be giving up at least 10 pounds against the 175lb Canelo in this fight. The fighters will be fighting at a catch-weight of 155lbs, but Canelo will rehydrate to the mid-170s; whereas with Cotto, he’ll likely rehydrate only 5-10 pounds to 160-165. Cotto isn’t going to be the stronger fighter if he’s giving away 10-15 pounds against Canelo. I think it’s a victory Cotto in terms of the huge payday he’ll be getting in this fight. He could make over $10 million for the fight. That’s good money for a fight that might not bring in more than 1 million PPV buys. Canelo is expected to get a career high payday in the fight despite the fact that he fought Floyd Mayweather Jr. in a fight that brought in 2.2 million PPV buys two years ago in September 2013. The difference here is that Canelo didn’t get a large purse split of the money for that fight. In the Cotto fight, Canelo is getting a bigger split than he did for the Mayweather bout, and that means more money. Sometimes De La Hoya doesn’t make any sense when he speaks. In the case of him saying that the Cotto-Canelo fight will be the biggest fight in the history of the sport, De La Hoya is dreaming and seems to have the fight mixed up with the Mayweather vs. Manny Pacquiao fight. Believe me, Cotto vs. Canelo won’t be the biggest fight in the history of boxing; not unless 600,000 PPV buys is considered the best. That’s about all I see the Cotto-Canelo fight doing on PPV, but even if it hit 1 million buys, surely that’s not record breaking. I’m just surprised that De La Hoya is so ambitious for this fight, as if he can bring in the huge PPV numbers himself just by wanting and wishing for it to happen. Canelo is Golden Promotions flagship fighter, and it would obviously help the promotional company for it to bring in over 4 million PPV buys for the Canelo vs. Cotto fight, but I just don’t see it happening in this lifetime. Like I said, at most the Cotto-Canelo fight will do 1 million buys. More than likely, it’ll be less than that in the 600K range. “We haven’t focused on the undercard, but Andre Ward is a consideration,” Michael Yormack of Roc Nation Sports said. 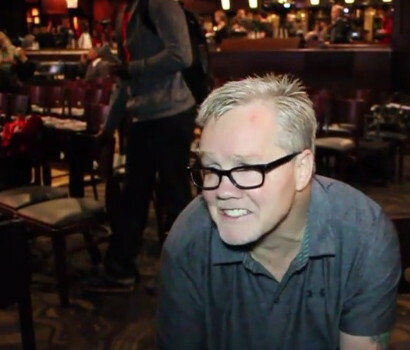 Boxing » Freddie Roach » Roach: Cotto will take Canelo to school!